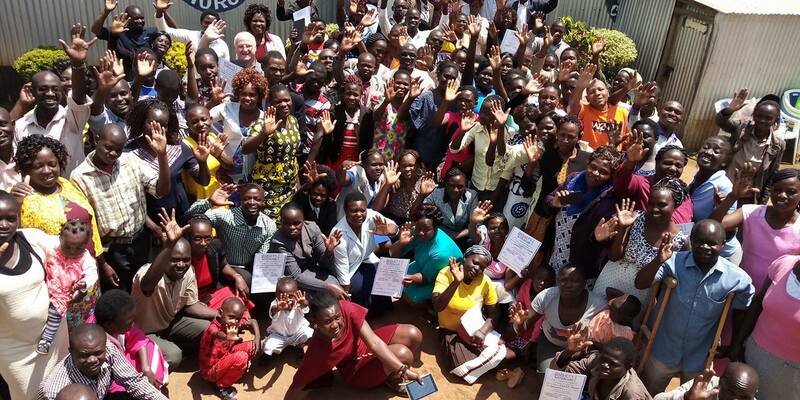 It is so exciting to receive the great reports of what God is doing through our partners in Africa. 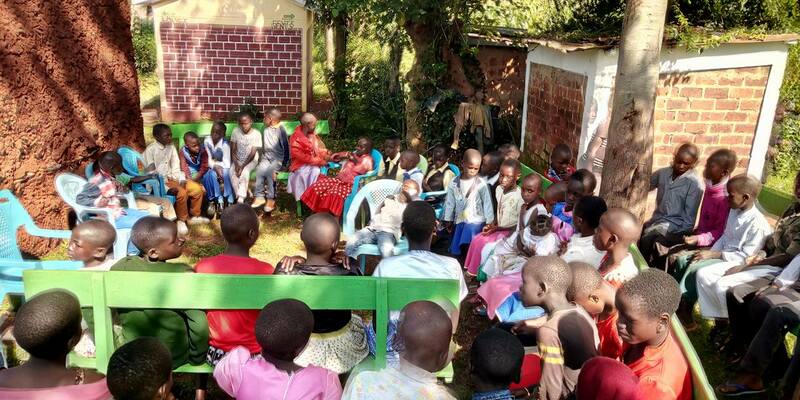 As sometimes happens there is sad news to share as well, but through our partners God continues to make a great impact on many areas of Africa, and we ask that you keep them in your prayers and on your list for continued support. We are ALL part of this great work for the Lord! Blessings, Gerald and Shirley. 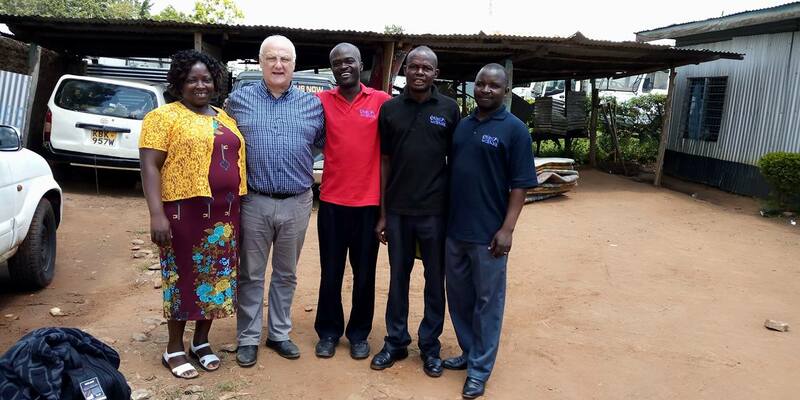 Mike in Kenya has been especially busy recently, helping with a very large Children’s Ministry Conference in Mumias, led by Dave Gidney, of Children Worldwide in the UK. This is the 2nd such conference and another is planned next year, with Mike being a major part of the local team, and it was very well attended – as you can see by the photo below of many of the participants! As we know, Mike is especially gifted in puppets and was part of a training session for that. 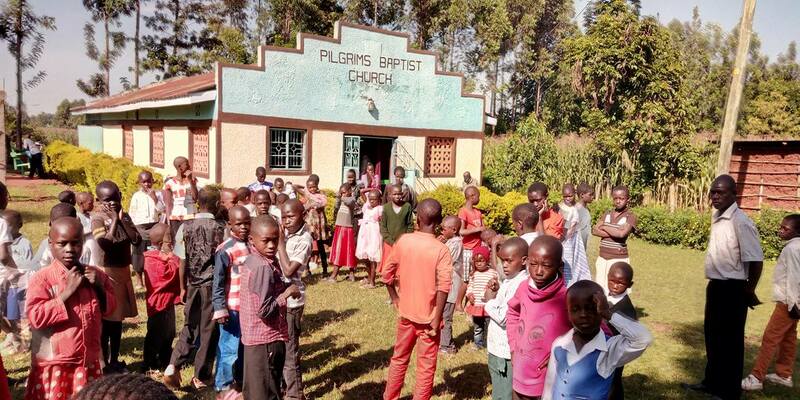 In late July he led a very successful children’s ministry event at a Baptist church in Kamukuywa (photos below), and also at a school in Naitiri. Traveling around so much is far from easy, but as I write, he reports that he and Irene were able to enjoy a special meal and meeting for pastors and their wives. This was a rare treat for them to enjoy together and it was also a time of great fellowship and spiritual encouragement. Pastor Honoré in Central African Republic has again had tragedy hit the family. One of Clarisse’s younger brothers (who is just 23 and has a 6 month old baby) just lost his wife. She was only 18, and was taken to the hospital with a fever, where she died just a few minutes later. Apparently Clarisse has 24 siblings, two of whom have now died. Thankfully both this brother and his young wife were strong believers and faithful churchgoers who were actively involved in youth ministry at their church (a very large church in the capital city). The church is helping provide support as well as paying for the funeral arrangements, which is a great blessing. You may recall that only 6 months ago, another of Clarisse’s brothers was killed with his wife and three children when rebels attacked their home. This is just another example of how dangerous life is there in Central Africa – with so few resources to fight disease, and great hindrance to improvement of conditions while there is so much political unrest and violence. We continue to pray for safety for our friends there and that they will be able to continue to share the Gospel through the church ministry, special evangelistic and training events, and as they proceed with the translation of the Bible into the local language. Pastor Sika in Togo writes to say that the political situation is still very unstable and sadly, even in Sika-Kondji there is noticeably more crime of all kinds. The mining company that started working in the area in 2011 has brought many benefits, through jobs and financial compensation to the local people, but sadly, rather than working together to improve the conditions by adding a clinic or better roads etc, the people have acted much like the “Prodigal Son” and wildly spent their newfound “wealth” on offerings to idols and extravagant living! Proverbs 29:16 says “When the wicked are in authority, sin flourishes, but the godly will live to see their downfall.” (NLT) This is sadly being proven true, both in the nation and also in the village of Sika-Kondji, where for the past 8 or 9 years the chief has only provided bad leadership – being greedy and making lots of trouble, both for the mining authorities and for the Joseph Project orphanage. There is now little respect for law and order in the village, with many young people stealing from the mining company. There is much jealousy over financial settlements and since family members must share compensation, there is fighting and even attempts at murder to reduce the number of claimants! But we continue to encourage Pastor Sika and all at the JP that as God gave the vision for the Joseph Project in 2008 (long before any talk of mining there) we believe God wants it to be a beacon of light and hope in the midst of the darkness. It is a living example and testimony to God’s love and provision; the staff and children are daily demonstrating the hope and faith we have in the Christian walk; and it is a place where people can come to find and learn of Jesus Christ. As Pastor Sika has said on multiple occasions, JESUS CHRIST is the only answer! He continues to spread the Gospel in and around the area, as well as occasionally in more distant places. 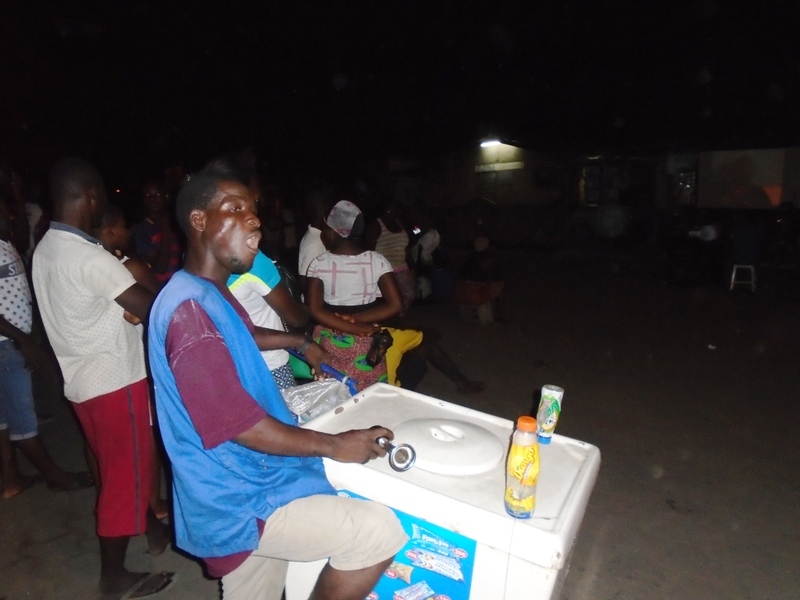 The 1st photo shows a happy yoghurt seller in Northern Togo. He was a Muslim who thought he was worshiping God through his faith, but after hearing Pastor Sika share the Gospel, he joyfully accepted Jesus Christ as his Savior and Lord! 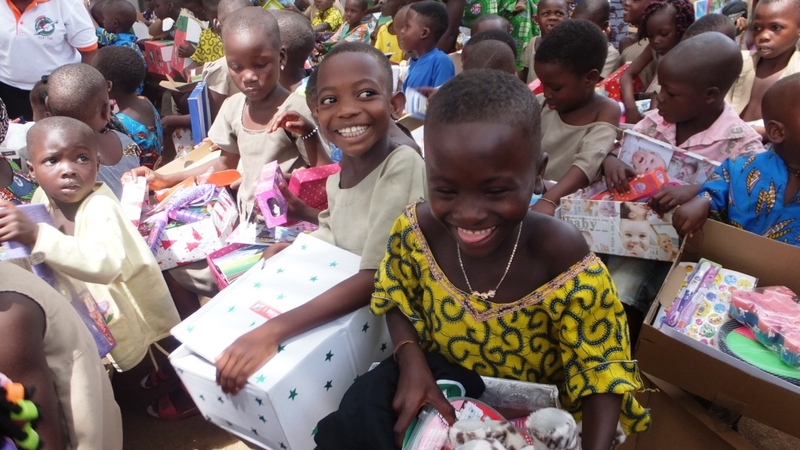 Of course Pastor Sika continues to distribute the Operation Christmas Child shoeboxes as part of his evangelistic outreach, which makes a great way to introduce the Gospel – and is rarely turned down, instead bringing smiles and joy to many poor children! 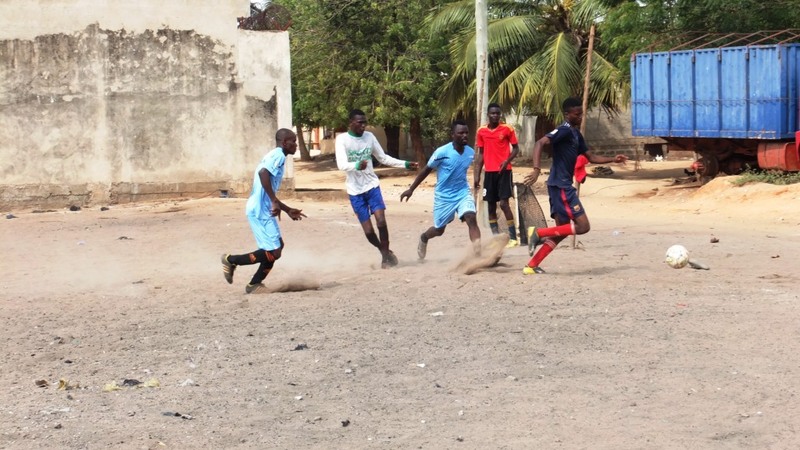 Soccer remains a great way for sharing the Gospel, as seen in these final pictures. We pray that many more souls will come to Jesus so that both the village and the nation can begin to move forward. 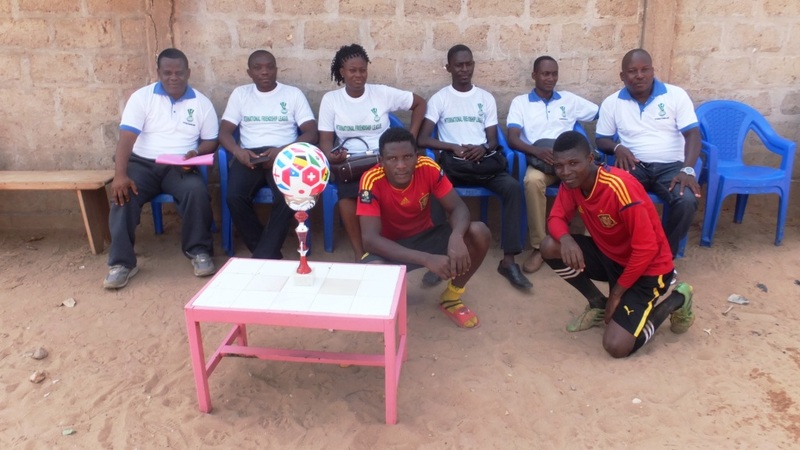 As we approach the new school year in Togo once more, please pray that God will send in extra finances to provide the necessary school supplies, uniforms and fees for the JP orphans to attend the local school again.